The Casio Databank CD-40 debuted in 1984. 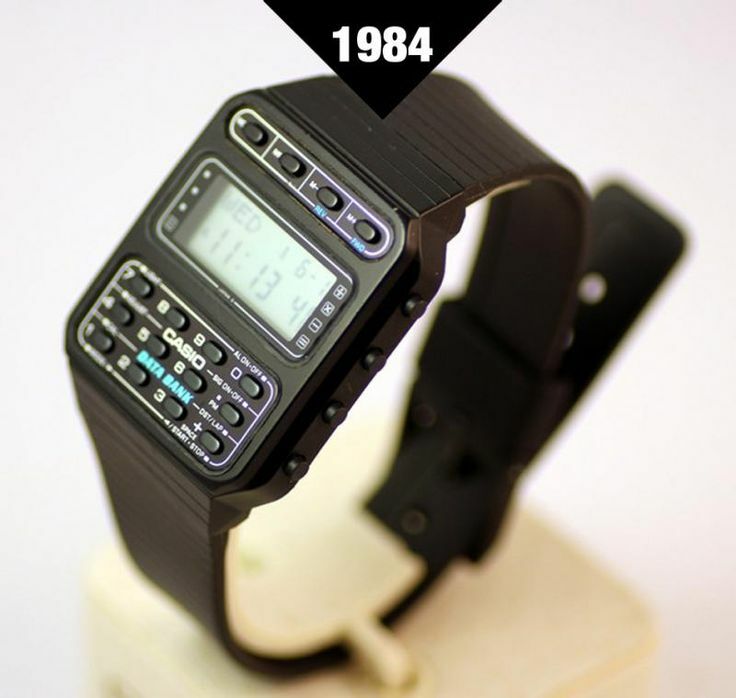 It was one of the first digital watches created in the 1980s that allowed the user to store information, following a Pulsar model released in 1982. It probably is the first real smartwatch. 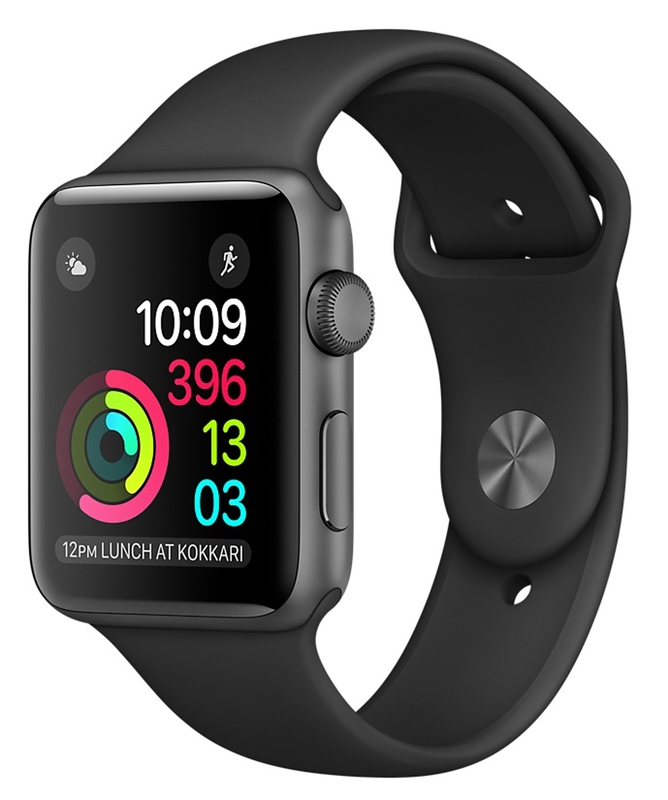 They allow data storage for telephone numbers and email addresses, and usually provide a calculator, in addition to the standard features of a digital watch. There are at least two Databank watches that includes a TV and VCR remote control feature. Notice the reference to “email addresses” in the description. I think it shows how confused people were about the Internet in 1984. They thought that they could store a few email addresses on their watch or a personal assistant and re-type them every time they need to use the Web. They didn’t realize then that the Internet will eventually be run by search engines and keywords and the only URL one will really need to remember will be http://www.google.com. There are lots of differences between the smart watch from 1984 and, say, the Apple Watch from today. Still, this Casio Databank watch deserves to be called the first (or one of the very first) true smart watch. This entry was posted in Amazing technology, data, and people, Data storage, hard disk drives (hdd), solid state drives (ssd), IoT, Internet of things, smart connected devices, IoT analytics, Past, present, and future and tagged casio databank, casio smart watch, the first smart watch. Bookmark the permalink.